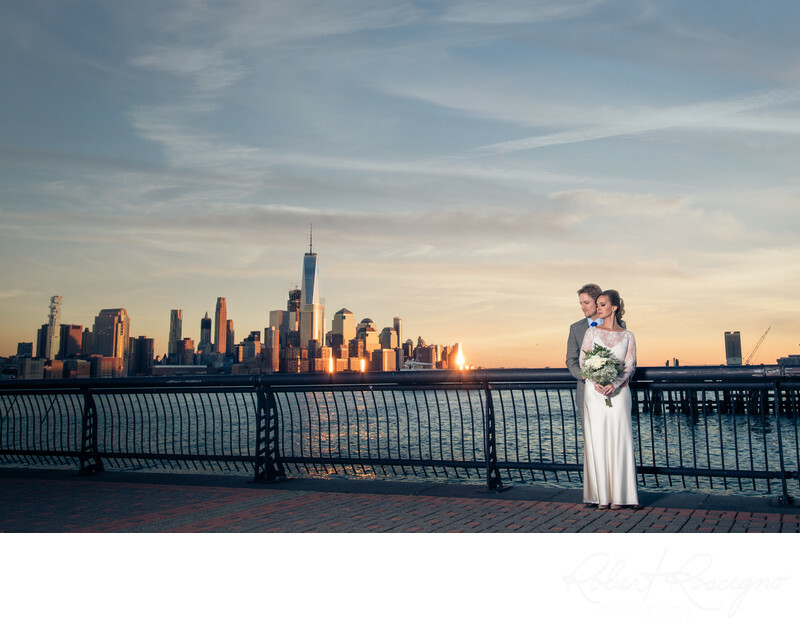 Beautiful sunset in Hoboken, New Jersey for Jamie and Chris's wedding. The reception that followed was at The Kolo Klub. Location: Pier A Park, Hoboken, NJ.